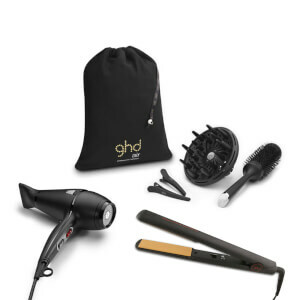 The ghd Flight Travel Hair Dryer with Protective Case allows you to achieve a salon-worthy blow dry on-the-move. Developed with a powerful 1200W motor and compact, foldable design, the lightweight and ergonomic hair dryer features variable heat settings, a detachable nozzle and 1.5 metre cable. Complete with a luxurious black travel case.